As an iOS device user, the most awaited moment for you would undoubtedly be the release of the newest update. Recently, iOS 12 has made its entry making the users enthralled by it. Taking a contrasting fact, a lot of times the users meet with various bugs or instability with their devices when they install the latest version of iOS. No matter it is iPhone 5s, iPhone 6 or maybe iPhone 7, it is normal to encounter with such issues. And for this, the solution that remains for the users is to downgrade iOS. Have you also installed iOS 12.2/12.1/12 in your device and wish to now downgrade it due to such annoyance? Well there are lots of people who desire for the same. Also, there are numerous users who don't wish to use their computer to meet the purpose. 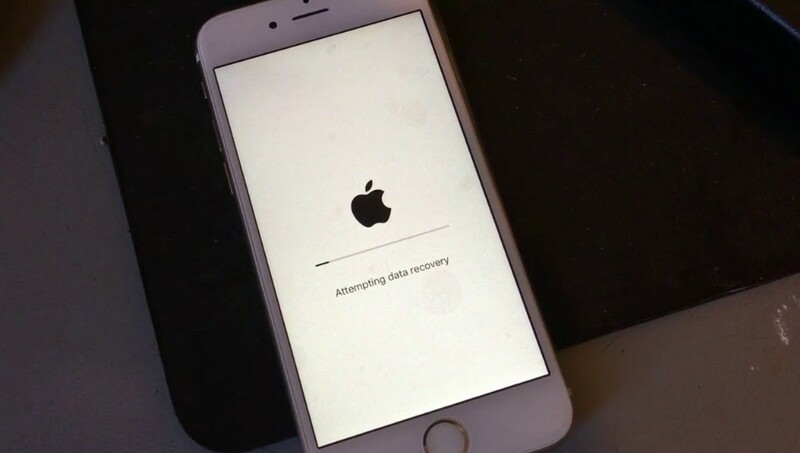 Are you also one of those who prefer to know how to downgrade iOS 12.2/12.1 to iOS 12 or 11.4.1 without computer? Well giving a look on this article will answer the entire doubts of yours. So, without further ado, begin to pore over the following sections one by one. 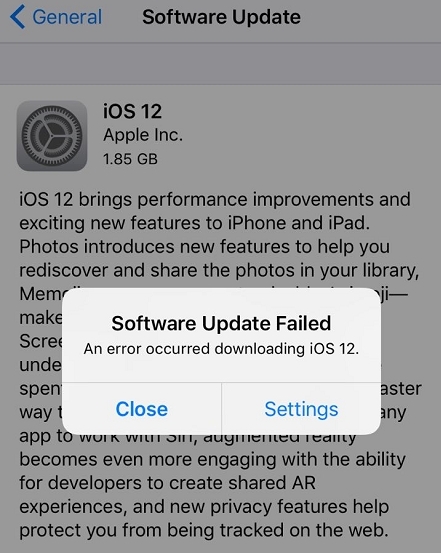 Is It Possible to Downgrade iOS 12.2/12.1 without Computer? If you are worried about how to downgrade from iOS 12 without computer, we must tell you that, it is impossible to do so. 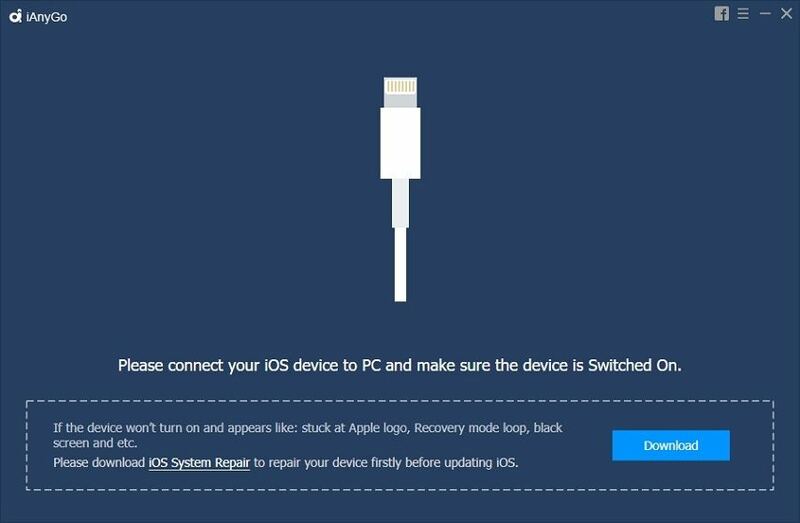 Whether you use iTunes or another effective software for that matter, you will need a computer to complete the iOS downgrade operation. In case someone is biasing you by telling they can help you get back to the older version of iOS then don't trust them. They might be lying and your device and data is not safe with them. Decline any such offers to downgrade iOS without computer and sought out a genuine way. In case you are finding it tough to understand how to downgrade iOS 12 without iTunes, iAnyGo can indeed help you downgrade from iOS 12 to iOS 11.4.1 without losing any vital data. Uninstalling or installing iOS is a cakewalk with this software. It also fixes basic iOS issues while downgrading from iOS 12. With this tool, you don't need an Apple developer account for enjoying beta version of iOS on your device. You can anytime install or uninstall iOS firmware as long as you are trying to have the signed versions of Apple. Once a version is not signed by Apple, you can no longer install it on your iPhone/iPad. This is a perfect iTunes alternative while downgrading iOS 12 and restoring your iPhone. There is no need of an IPSW file to get iOS 12 downgraded to an older version. After installing Tenorshare iAnyGo on your computer, launch it and then connect your iPhone using a lightning cable. Once the connection has been established successfully, out of the 2 available options on the program screen, you need to click on the 'One-click to Downgrade iOS' option. You need to choose detailed information about your iPhone, like model, iPhone name, as well as iOS version. You will see a list of downgradable iOS versions on screen. Press the 'Download' button against the suitable one and let the download process complete. In case firmware is already downloaded on PC, simply hit on 'Import' followed by 'Select' button. When the said processes get accomplished, hit the 'Downgrade' button. Tenorshare iAnyGo will initiate uninstalling iOS 12 version and downgrading to a stable version. Allow sometime and get your iPhone back with a downgraded iOS version without any issues. How to Uninstall iOS 12.1.1/12 on iPhone, iPad/iPod with iTunes? Now, the question of how to downgrade iOS without computer has been answered and you know that it is not possible. After you have learnt about the amazing features and process about iAnyGo, let's see what the traditional method for uninstalling iOS is. This process involves erasing and then restoring the device. Using an archived backup the restore can be done. The backup must be done using the older iOS version. iPhone 8/8 Plus/X – Tap and release 'Volume Up' button and repeat it with the 'Volume Down' button. Press the 'Sleep/Wake' button until you see the recovery-mode screen ('Connect to iTunes' message). iPhone 7/7 Plus – Hold down the 'Sleep/Wake' and 'Volume Down' key together till you pass the Apple logo and see 'Connect to iTunes' on screen. iPhone 6S or earlier/iPad/iPod Touch – Push down the 'Sleep/Wake' and 'Home' buttons simultaneously until the Apple logo glows and then you see 'Connect to iTunes' on your screen. 2. Now, tap the 'Restore' button on iTunes when it detects your device to erase your device and then install the old iOS. 3. Once the restore finishes, key in Apple ID credentials to disable the Activation Lock. Now, you can restore the iOS device from an old backup from an earlier iOS. That's all about how to downgrade from iOS 12.1.1 to iOS 12.1 without computer. iAnyGo will the best choice for you to update or downgrade iOS 12 without any data loss or stuck issue.